Project team – Joshua Marks, Chief Technology Advisor, Robert Greenawalt, Chief Technology Officer, Paul Libbrecht, Developer. Curriki is an OER repository containing over 32,0000+ openly licensed K-12 resources including files, URLs, wiki-pages, videos, scenarios and collections. The system aims to be format agnostic and to support a wide range of content types; tools have been created to support different types of content. 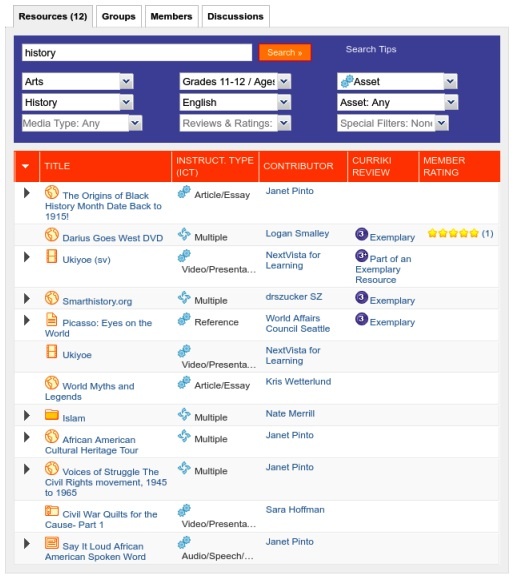 Curriki provides content creation tools and a custom search facility based on seven metadata properties (subject, media type, educational level, language, reviews & ratings, instructional type and special filters). 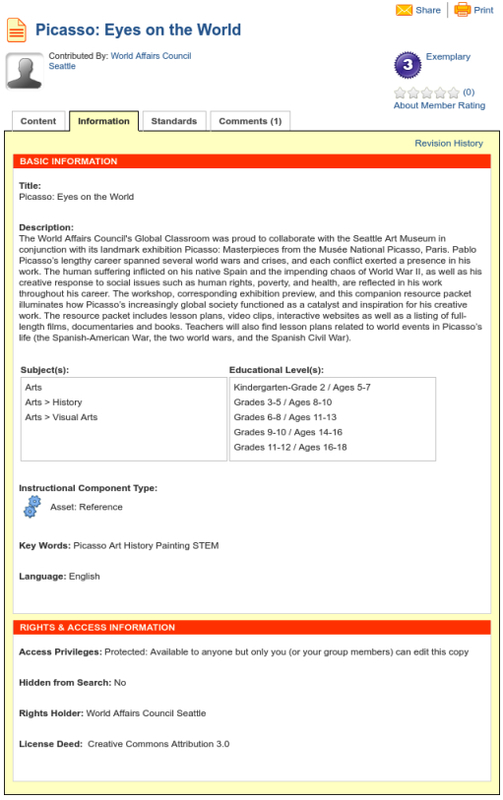 Users are able to browse for resources that have been aligned with Common Core State Standards, and Curriki has also created a Google custom search engine for Computer Science curriculum resources: Curriculum Search. Curriki has its own internal metadata schema. Metadata is generated by users and reviewed by volunteer subject matter experts who review resources using a four point rubric. Part of this review process focuses on the quality and alignment of the metadata. Registered users may also comment on resources. Curriki metadata is not static, it develops as resources are used. XWiki object properties are stored in an SQL database and indexed into a SOLR index. LRMI properties are exported from Curriki properties and a fork of Curriki also exports to LOM using OAI-PMH. A mapping of Curriki metadata to LRMI properties is available. The project team intend to implement the “educationalAlignment” LRMI property in the future as Curriki has an internal application that could be employed for this using American (and Finnish) standards. Some additional schema.org properties are also used, see mapping for further details. Curriki accepts all forms of Creative Commons licences and other variants of open licences. The default Curriki licence is CC BY NC. Business rules are implemented to disallow incompatible licences in Curriki collections. Contributors are encouraged to make their content freely available worldwide for non-commercial use, and to grant Curriki the right to use the content commercially. This helps to generate revenue to keep the project running. This entry was posted in cetis, lrmi, oer and tagged cetis, lrmi, lrmi implementation, metadata, oer, open. Bookmark the permalink.